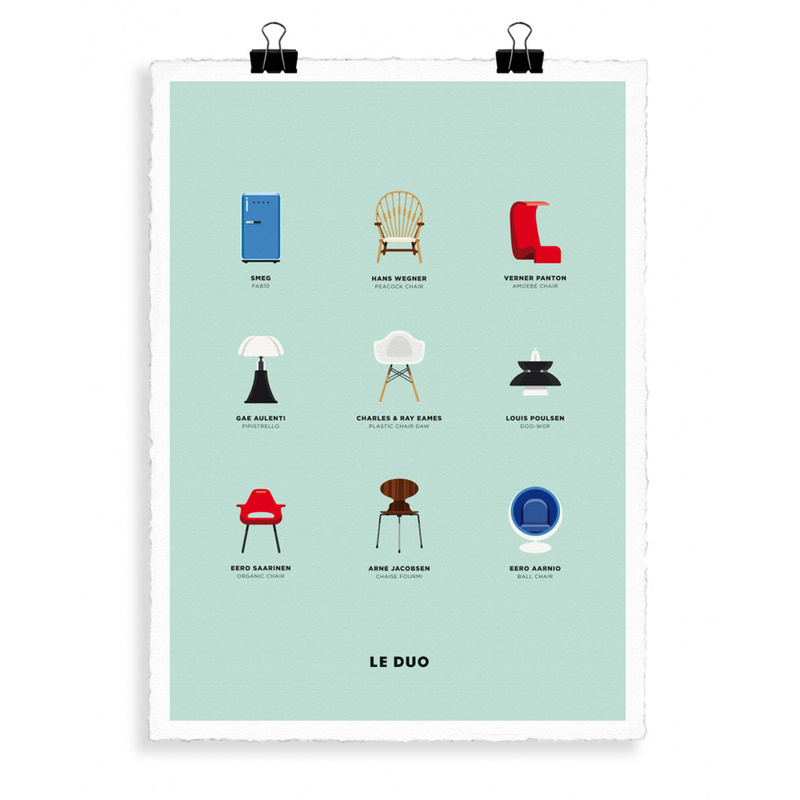 Design is a grafical poster where Le Duo celebrates nine different iconic pieces of Design furniture. 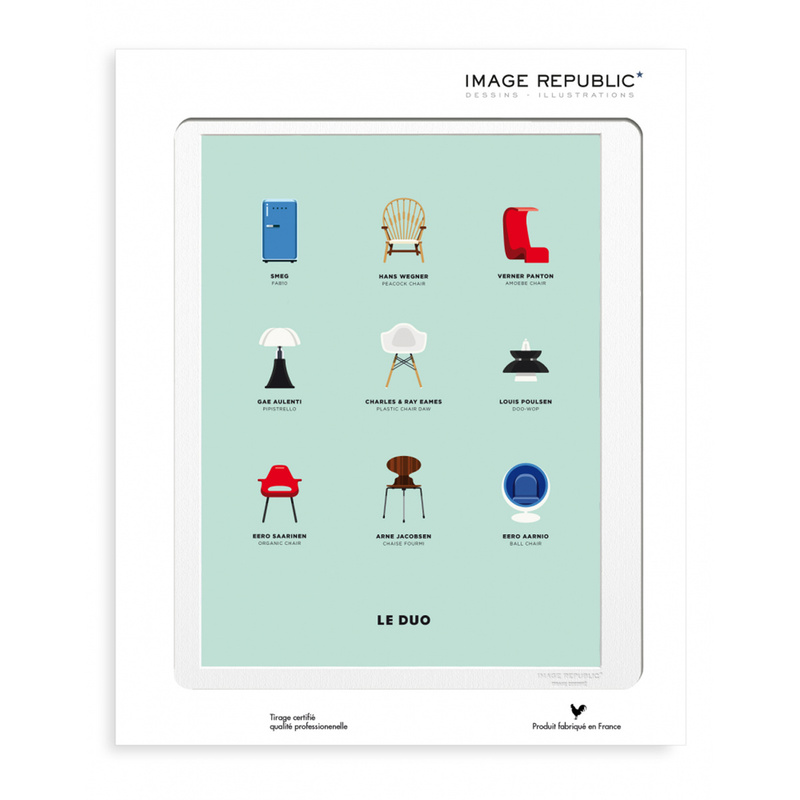 Stylish chairs, practical appliances and beautiful lamps come out from a solid backgroud. The colors are softly balanced. The painting is made with Flat design, a style that creates a colored and sparkling pop atmosphere. 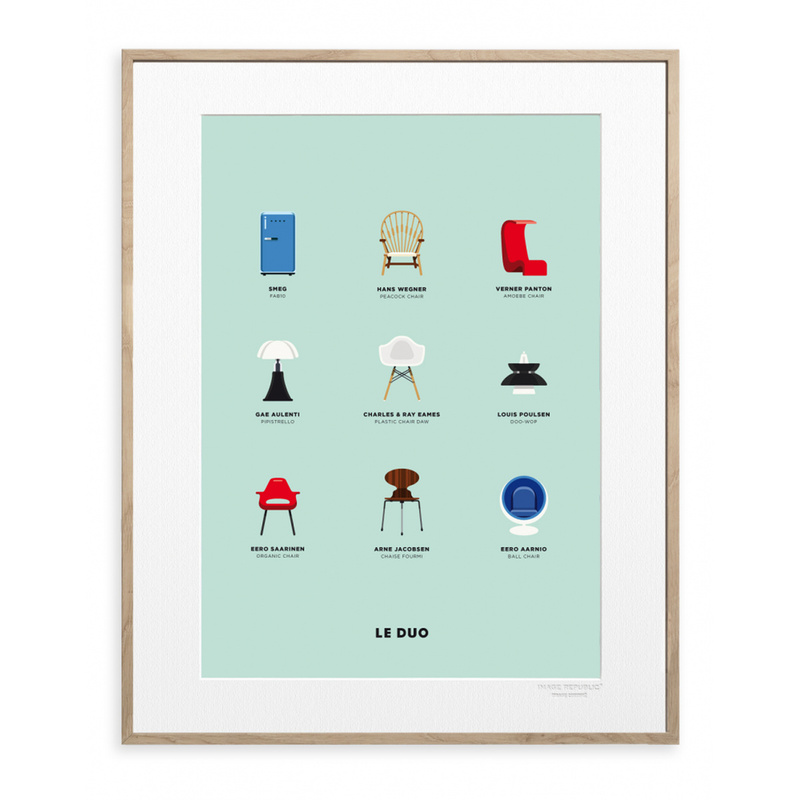 Design is the perfect print for decorating your studio, bedroom or kitchen. Le Duo's inspiration comes from the historical icons or brands but also from the art, design and architecture world. Made on paper. Frame not included. An image is worth more than a thousand words, especially if it's beautiful. 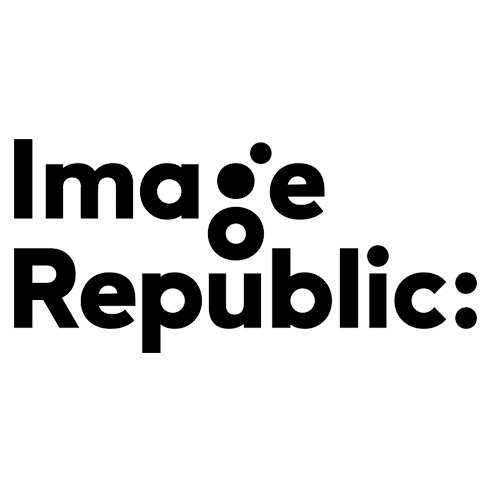 This vision became the project IMAGE REPUBLIC*, started in Paris in 2011. The offer extends from a collection of the strongest, iconic, best known images of the modern age, to exclusive collections made with international artists and illustrators.